81 x 65 cm - 31 7/8 x 25 9/16 in. Atelier Degas – Vente Degas, 1918, II, n° 86 (repr.) – Jacques Seligmann, New York – Marie Sterner Galleries, New York - Chester Dale, Etats-Unis – Washington, National Gallery, 1963. Paris, galerie Georges Petit, 1930, n° 12 – Paris, musée de l'Orangerie, 1931, n° 50, pl. 7 – New York, Museum of French Art, 1931, n° 3 - Washington, National Gallery, 1959, Masterpieces of Impresionism and Post-Impressionism Painting (n.n. ), (repr.) - Washington, National Gallery, 1965, The Chester Dale Bequest (n.n.) 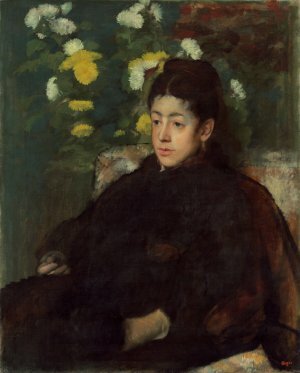 - Washington National Gallery, 2010, From Impressionism to Modernism: The Chester Dale Collection (n.n. ), (repr.). Art News, 9 mars 1929 (repr.) - Alexandre, L’Art et les Artistes, février 1935, p. 157 (repr.) 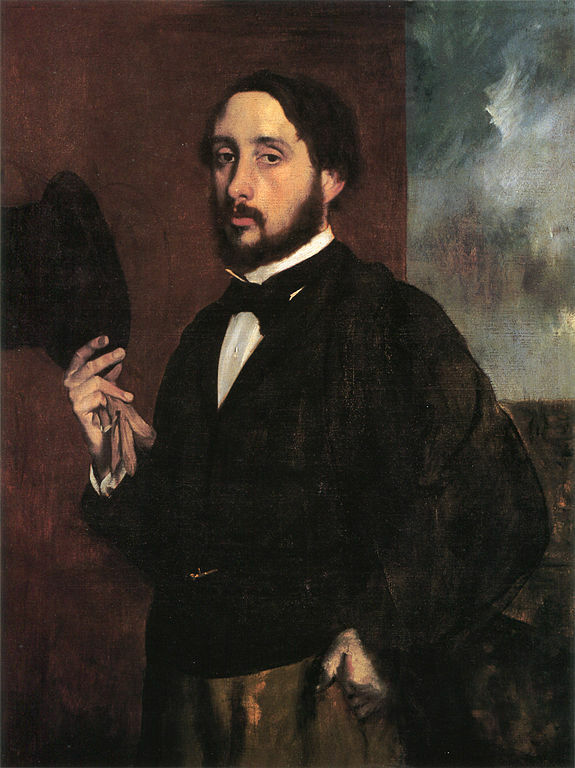 – Mauclair, Degas, 1941, p. 46 (repr.) – Lemoisne, 1946-1949, II, n° 441, repr. p. 243 - Boggs, 1962, p. 122, repr. pl. 91- Boggs, 1965, p. 77 (repr.) - Frankfurter, mai 1965, Art News, p. 40-43 - Summary Catalogue of European Paintings and Sculpture, National Gallery, Washington, 1965, p. 39 - Cairns, Walker, A Pagent of Painting from the National Gallery, Washington, 1966, p. 440 (repr.) - European Paintings and Sculpture. Illustrations, National Gallery, Washington, 1968, p. 35-36 (repr.) - Lassaigne, Minervino, 1974, n° 419, repr. p. 106 - Reff, Bulletin of the Detroit Institute of Arts 53, 1974, p. 35-36 (repr.) - European Paintings: An Illustrated Summary Catalogue, National Gallery, Washington, 1975, p. 98 (repr.) - Walker, The National Gallery, Washington, 1979, p. 115, pl. 101 - Walker, The National Gallery, Washington, 1984, p. 480, n° 709 (repr.) - European Paintings: An Illustrated Catalogue, National Gallery, 1985, p. 119 (repr.) - Zurich, Tübingen, 1994-1995, repr. p. 45.